We do this by organising events such as barbecues, fun days out, games nights, discos etc. We understand that being a type 1 diabetic can make children feel different and have found that getting together with other children who are suffering with the same condition, makes them realise they are not alone and provides them with a positive experience. We maintain the full support of the paediatric diabetes staff at the hospital and they attend some of our events and help promote the group to type 1 diabetic families. 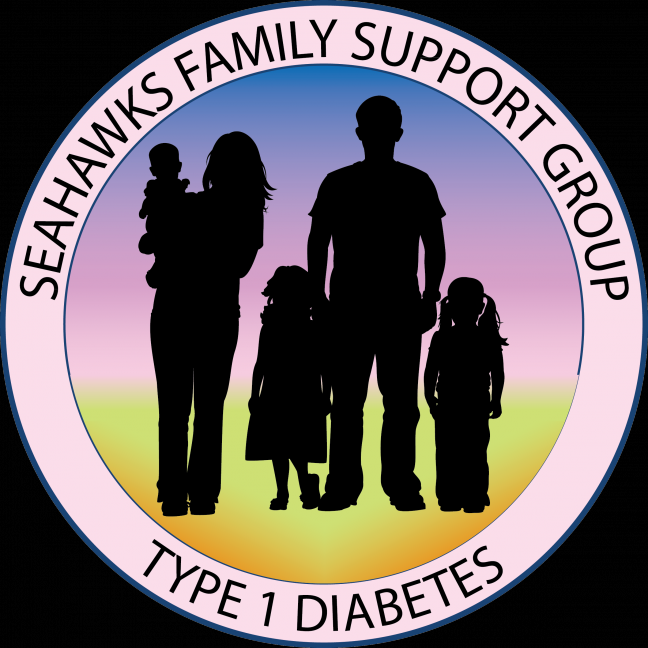 Seahawks understands that having a type 1 diabetic in the home, affects the whole family – including brothers and sisters. So much of our attention has to be given attending a diabetic child, which can result in a negative impact on our other children. Seahawks events caters for diabetic children and their siblings, to try and make something positive of having diabetes in the home. We are a self-funding group and do not charge membership fees to join. Most of the events we organise are free of charge, while others we ask for a contribution to cover the cost. We also regularly leave a Seahawks events guide at the Portsmouth QA hospital diabetic clinic and if all of those fail you then please use the email address on the back of this leaflet. If you’re still thinking - it’s not for us, we don’t need a support group - Seahawks isn’t just about providing support; it’s a positive experience from a negative situation; children love ‘going to Seahawks’ where they can play outdoor games, attend summer barbecues, get stuck in to the arts and crafts (sometimes literally), go to the ski centre to jump on the Ringos or just come along to catch up with their diabetic friends.